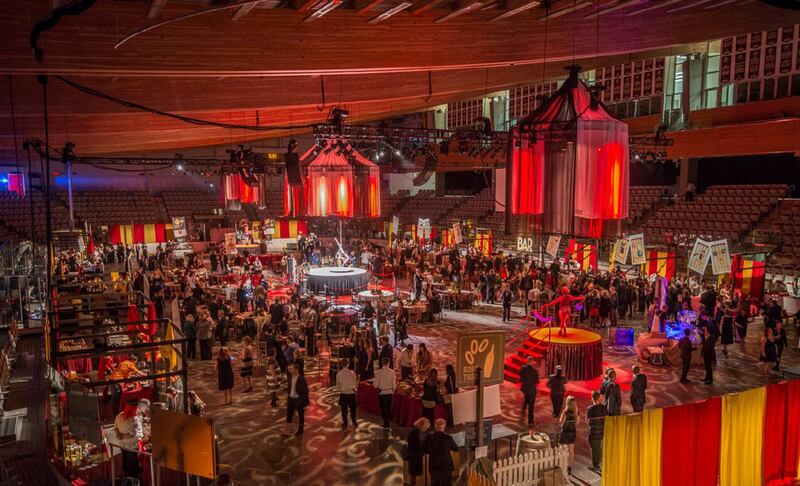 The Legacy Gala was a stand-up, reception-style fundraiser held for an audience of 500 guests in the largest arena inside Calgary’s WinSport Arena. A circus theme was chosen – but this was certainly not your average circus spectacle. 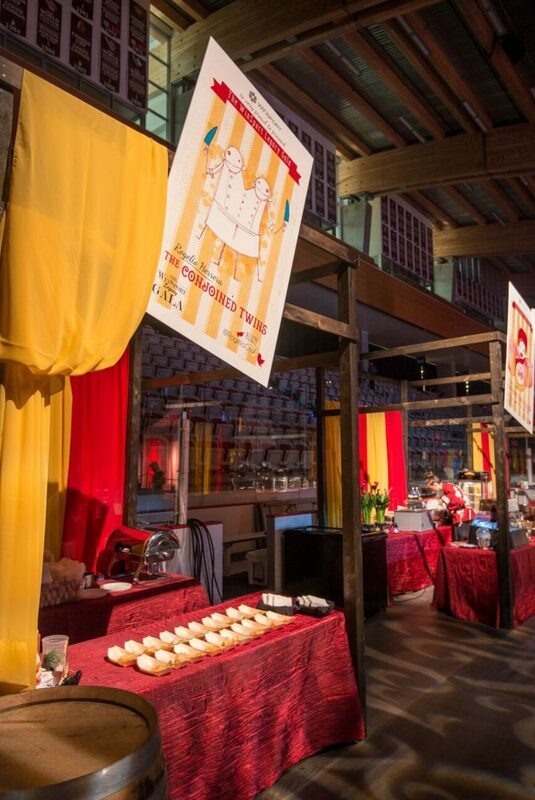 Hoping to avoid the often overused Cirque du Soleil manifestation of the theme, we chose to instead pitch a vintage Ringling Bros. feel, focusing on handcrafted sets, classic, low production entertainment, and oddities-themed food stations. 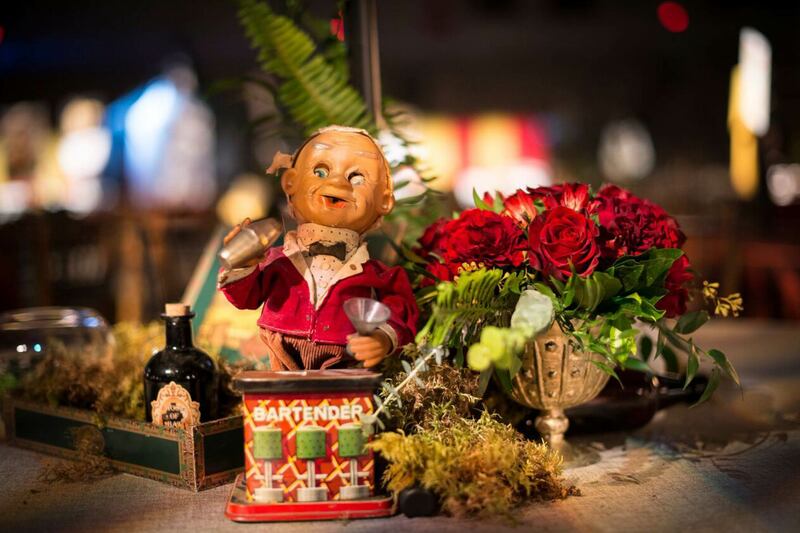 Upon entering the venue, guests were greeted by character actors posing as Grinders, and led through a cloud of fog (dry ice), past stacked shipping crates and broken marquee signs, as if sneaking in through Clown Alley past the ring stock tents of a 1930s circus show. As they turned the final corner, the event was laid out before them – a full circus ground already in full swing with the hustle and bustle of Troupers, Bally Broads, Candy Butchers, and Pitchman, all ready for action. And of course, at the center of it all was the quintessential Ringmaster. 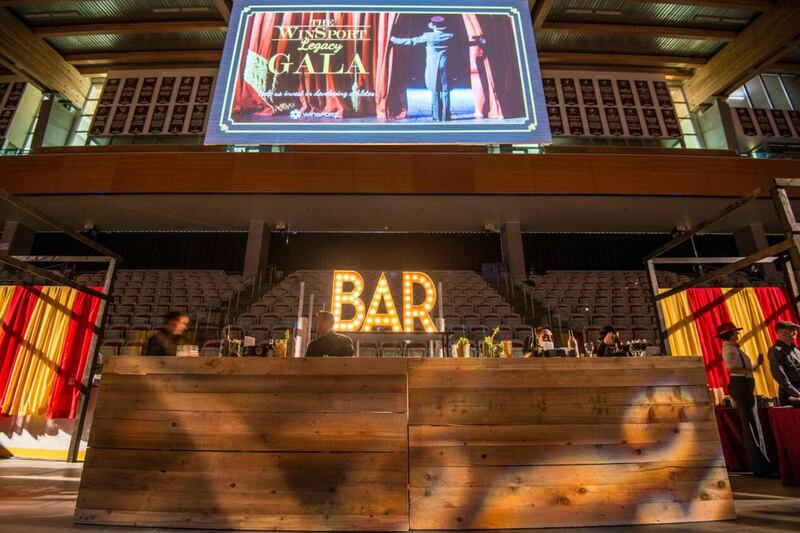 The design itself consisted of four main elements: food stations, stages, sponsor seats, and game booths. The Legacy Gala was incredibly unique for today’s audience, by using what would have been unremarkable in decades past. 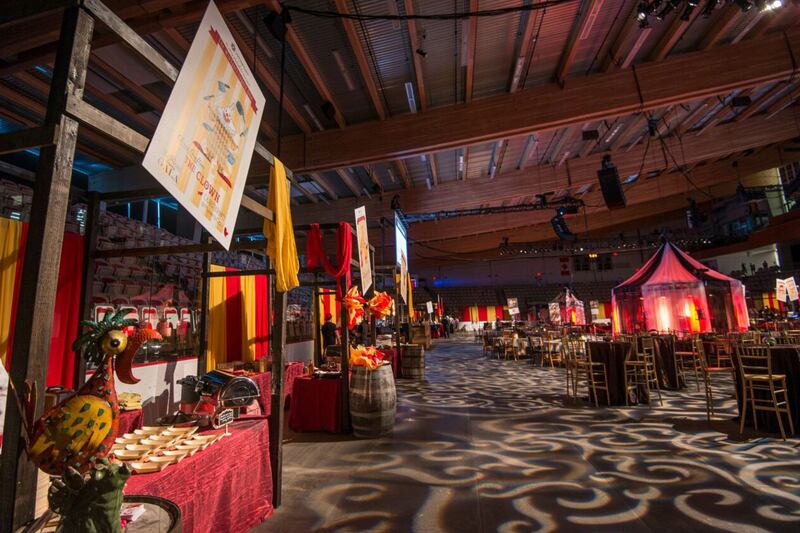 By simply returning to the old-school ways of the Ringling Bros and Barnum & Bailey in our design approach, we are able to create an event that captured the nostalgia and quiet glamour of a long-forgotten time, and the hustle and bustle of a busy circus ground. Creating this type of atmosphere in a cold Canadian arena was certainly no small feat, specifically with the associated risks that working in this particular venue brought. Through careful collaboration with all vendors involved, and the creation of a precise and timely install plan, we were able to successfully (and safely!) execute what remains one of the city’s most talked-about events.